The White House Monday hit back at the suggestion that Iran had agreed to and then backed out of a deal to send its stockpile of enriched uranium abroad, saying the issue could still be overcome ahead of the Tuesday deadline for talks. “The idea that there had been an agreement that Iran had backed away from in the last 24 hours is not true,” White House spokesman Eric Schultz told reporters aboard Air Force One, as President Obama traveled to Boston for an event honoring the late Sen. Ted Kennedy, D-Mass. Iranian nuclear negotiator Abbas Araqchi told reporters late Sunday that his country would not send its stockpile of enriched uranium to Russia for storage, which had been sought by P5+1 nations to keep Iran at least a year away from being able to develop a nuclear weapon. Negotiators insist the Iranian position is not a deal breaker but concede that a number of issues remain with the Tuesday deadline swiftly approaching. Critics, however, say the development is proof that Iran can’t be trusted to live up to terms of an agreement keeping it from building a nuclear weapon. Schultz reiterated Monday that Obama would indeed walk away from the deal if the framework did not meet his conditions. NPR’s Robert Siegel talks with Frank O’Donnell, a doctoral candidate at King’s College London, about how nuclear powers India and Pakistan manage their bilateral relationship. One fear of Iran potentially developing a nuclear weapon is that it would lead to a regional nuclear arms race in the Middle East. Israel already has a nuclear arsenal, although it maintains a policy of neither confirming nor denying its existence. It’s often said that Saudi Arabia, Egypt and Turkey might pursue nuclear weapons if their regional rivals in Iran had them. We thought we’d check in on a neighboring region where there has been a nuclear arms race, India and Pakistan. Neither country is signatory to the Nuclear Non-Proliferation Treaty. Both have nuclear weapons. Frank O’Donnell of King’s College London has studied nuclear weapons in South Asia and joins us now. Welcome to the program. O’DONNELL: Thank you. Glad to be here. SIEGEL: And does the experience of India and Pakistan present any lessons for the Middle East and nuclear weapons? O’DONNELL: I think it does. A lot of the analysis I read about the Iran talks will say that this could pave the way toward a realignment of the United States and the Middle East. This could bring Iran in from the cold. However, the Iran deal, if it goes forward, is just a technical agreement, and in India and Pakistan, there are similar technical agreements which are quite limited. One – both states will exchange a list on New Year’s Day each year of the nuclear installations which is part of an agreement not to target each other’s nuclear facilities. One is that they notify each other of any missile tests, and one is that the leadership and also the militaries have a hotline to each other. O’DONNELL: Well, I mean, to that I can only say look at the example of North Korea. You know, it’s one of the most irresponsible states in the world. It’s always making nuclear threats. If a state has nuclear weapons, that doesn’t automatically guarantee a certain format of behavior. SIEGEL: And the India-Pakistan conflict – I mean, do you think of it as one that actually has the potential of turning into a nuclear exchange anytime in the even distant future? O’DONNELL: I don’t see that getting to the level of a nuclear exchange. However, what concerns me is that there is not a sustainable, ongoing dialogue to reduce tensions between India and Pakistan. What has happened in recent years is that both sides adopt a tough stance and start escalating, and they both wait for the United States to come in and provide both of them the face-saving exercise that the United States will intervene and bring them both down. There are not mechanisms to de-escalate once a crisis emerges. O’DONNELL: That is what I find most concerning about the situation there. O’DONNELL: I think that India and Pakistan developed nuclear weapons out of both of their own sense of security threat. And for there to be some measures of reducing nuclear tensions, this has to be part of a broader political dialogue involving what both of their own threat perceptions are, and also, I argue, including China as well because China is very much part of the South Asian strategic environment. It’s very much a player in the region. O’DONNELL: The main parallel I see with Iran – up until really the Obama administration came in, the activities it was conducting up to that point seemed to me very reminiscent of what India was doing – the position it had up until it conducted testing in 1998. For a long period – say, from about the mid ’80s and up until 1998, what India did was it had the capability. It had all the material. It had the knowledge. It had, you know, the missiles all sitting disassembled in its basement. By doing that, it meant that it would not be sanctioned as it was after 1998 for conducting the nuclear tests. However, it could in some ways behave like a nuclear-weapon state. It could throw its weight around a bit more. And I wonder if Iranians who are, you know, running the program did look at India’s experience as a guide. SIEGEL: Frank O’Donnell, thanks for talking with us. SIEGEL: Frank O’Donnell is a doctoral candidate in defense studies at King’s College London and a research associate with the Center for Science and Security Studies. Christopher Hill, who was also the chief disarmament negotiator in the failed nuclear talks with North Korea, said that both the United States and Iran will have a hard time convincing their people that the deal is a good one. “The deal is so hinged on technical issues that it is going to be hard to sell,” Hill said. “The sanctions are going to come and they are going to come quickly,” he said. Boehner deepened a rift with President Barack Obama when he invited Netanyahu to address Congress earlier this month without first informing the White House. The invite strained Obama’s already awkward relationship with the Israeli premier. Saudi Arabia will not stop building or acquiring nuclear weapons, the country’s ambassador to the United Stated said. CNN News asked the Arabian ambassador Adel Al-Jubeir whether Saudi Arabia would ever build nulear weapons, he said that the subject is not for them to discuss publicly. “This is not something that I can comment on, nor would I comment on,” he added. The discretion of the ambassador in ruling out a military nuclear programme may rekindle the concerns that the autocratic monarchy has its eye on a nuclear arsenal. The Independent reports that the Western intelligence agencies suppose that the Saudi monarchy funded about 60% of Pakistan’s nuclear programme in return for the ability to purchase warheads for itself at short notice. Pakistan and Saudi Arabia maintain close relations and sometimes said to have a special relationship. At present, the two countries have close military ties and conduct joint exercises. The Saudi Arabian administration already possesses medium-range ballistic missiles as well in the form of the Royal Saudi Strategic Missile Force. In addition to this, it has a civilian nuclear programme of the kind that Iran says it wants to obtain. A senior Saudi told the Times newspaper in 2012 that it would be completely politically unacceptable to have Iran with a nuclear capability and not the kingdom. \A deal with Iran on its nuclear programme is possible, according to the US and other Western allies. However, Iran denies that it is building nuclear weapons. At present, Saudi’s military operation against the moving Shia Houthi group in Yemen has been joined by Egyptian, Jordanian, as well as Moroccan forces. Amid all of last week’s headlines parsing Iran’s nuclear infrastructure as the deadline for a potential deal with world powers drew near, it was easy to miss the item in the Science section of The New York Times. It was about the US hydrogen bomb programme. The H-bomb, the paper reminded readers, is a thermonuclear device. Its destructive power is 1,000 times that of the bomb that instantly killed 80,000 people in Hiroshima in 1945. And it has long been a feature in the ­arsenals of nuclear-armed states. The news peg was a memoir by one of the founders of the US H-bomb programme, Kenneth W Ford. But even though he cited publicly available material, US Department of Energy censors blocked the book. Transparency, of course, has never been deemed a virtue in any nuclear weapons programme anywhere in the world. That said, Iran’s leaders might see the irony in being held to stringent transparency requirements while states with well-established nuclear-weapons capability are absolved of the equivalent accountability. But the basic hypocrisy of the major world powers’ application of the Nuclear non-Proliferation Treaty (NPT) is well-established. Five of the countries currently negotiating with Iran, which is an NPT signatory, are acknowledged to have nuclear weapons. The NPT requires signatories to submit their nuclear facilities to constant inspections to verify their commitment to refrain from building weapons. Meanwhile, the established nuclear weapons states are meant to negotiate their way to disarmament. But 45 years after they adopted the NPT, the established nuclear powers have not ended their addiction to nuclear weapons. In that period, four non-signatories – India, Pakistan, Israel and South Africa – developed nuclear weapons, although post-apartheid South Africa signed the NPT and allowed the dismantling of its nukes. Meanwhile, a fifth country, North Korea, developed nuclear weapons after withdrawing from the NPT . So the negotiations with Iran are not aimed at keeping the Middle East free of nuclear weapons as much as to maintain America and Israel’s nuclear monopoly in the region. But the censoring of Ford’s book reveals a deeper peril in America’s national conversation about nuclear weapons – or, more accurately, the absence of a national conversation about nuclear weapons. It can never be forgotten that the US was the first – and, mercifully, remains the only – country to have detonated nuclear weapons in anger. On August 6, 1945, that bomb instantly killed one quarter of Hiroshima’s civilian population. Three days later, it detonated a second device over Nagasaki, killing 40,000. The decision to use weapons of mass destruction to destroy civilian population centres has not been exhaustively debated in the US. It was simply accepted as part of the national mythology that obliterating two Japanese cities was necessary to save many more lives. When Washington’s Smithsonian Institution planned, in 1995, an exhibit depicting the impact of the bomb through photographs taken on the ground in Hiroshima, the effort was blocked by Congressional Republicans. They denounced it as “anti-American propaganda”. They did so, former House Speaker Newt Gingrich, explained, because “most Americans … are sick and tired of being told by some cultural elite that they ought to be ashamed of their country”. America’s nuclear arsenal now includes weapons a thousand times more powerful than the one dropped on Hiroshima. Most of its 4,650 active nuclear warheads are between 10 and 50 times as powerful as the Hiroshima bomb. Yet, the decision to nuke the Japanese city is one that American politicians don’t want their people to discuss. No surprise then, that there’s not much public discussion today on the place of nuclear weapons in the nation’s security doctrine. During the 2008 campaign for the Democratic Party presidential nomination, then-Senator Hillary Clinton rebuked her rival, Barack Obama, for ruling out the use of nuclear force against Al Qaeda in Pakistan. “Presidents since the Cold War have used nuclear deterrents to keep the peace,” Mrs Clinton said, rejecting any “blanket statements with regard to use or non-use.” This was the view of the politician who might be in pole position in the 2016 race for the White House. In April 2009, president Obama made a historic speech in Prague committing to pursue a “a world without nuclear weapons”and to reduce the number of warheads in the US arsenal. But he also pledged, in light of continued nuclear capability by rival powers, to ensure that the US maintains an “effective arsenal”. That commitment has now translated, according to the budget he submitted to Congress last month, into a massive modernisation scheme, which would cost $348 billion (Dh 1.28 trillion) over the next 10 years and as much as $1 trillion over a 30-year period. Still, don’t expect to see much public debate over just what the US is building, and the circumstances in which it might conceivably decide – once again – to destroy a civilian population centre in a matter of minutes. The world would be a much safer place if, as the NPT intended, efforts to stop new countries acquiring nuclear weapons were matched by the attempt to hold accountable those that already have them. 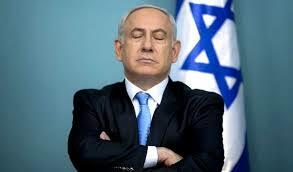 Netanyahu’s campaigning against the nuclear negotiations crested on March 3 with his speech to the US Congress at the invitation of its Republican speaker, John Boehner, that angered President Barack Obama and many fellow Democrats. The right-wing prime minister, who won a fourth term in a March 17 election, said on Sunday he had spoken to senior US lawmakers from both parties “and heard from them about the steadfast, strong and continuous bipartisan support for Israel”. “We may still have a chance. We are not alone. There are still great doubts in the United States as well as in France, even in England,” Steinitz told Israel Radio, referring to disputes with Iran over the scope of nuclear projects it might be allowed to retain. But Steinitz said Israel, which is not a party to the talks and whose hardline demands have not been welcomed in Western capitals, was in an “uphill battle”. Prime Minister Narendra Modi’s visit to Ottawa next month may see a much awaited commercial agreement being signed paving way for Canada to supply uranium to India. “We look forward to resuming our civil nuclear energy cooperation with Canada, especially for sourcing uranium fuel for our nuclear power plants,” Modi posted on Facebook on Saturday. Sources told Deccan Herald that New Delhi and Ottawa might also announce joint research and development in the field of nuclear energy, focusing on augmenting capacity of Pressurised Heavy Water Reactors of India. The prime minister will visit Canada from April 14 to 16 after touring France and Germany. He will meet his Canadian counterpart Stephen Harper in Ottawa and will address business leaders in Toronto. Modi on Saturday noted that Canada was also the first country to have completed the requirements for civil nuclear cooperation with India after New Delhi secured the waiver from the Nuclear Suppliers Group in 2008. India and Canada signed the civil nuclear cooperation agreement in 2010 and followed it up by inking the administrative arrangement in 2012. Though India and United States clinched a nuclear deal in 2008, the protracted negotiations over administrative arrangement concluded only recently. Cameco Corporation of Canada has since long been engaged in commercial negotiation for supplying uranium from its mines in the North American country to nuclear power plants in India. Sources said that a breakthrough in the complex negotiation was expected soon and a deal might be clinched after Modi-Harper meeting in Ottawa. A senior government official said that New Delhi and Ottawa might also announce a joint research and development programme, primarily focusing on augmenting capacity of the Pressurised Heavy Water Reactors in India to 750 MW. Ottawa had snapped its nuke ties with New Delhi after accusing the Indian government of using plutonium produced in reactor provided by Canada and installed in the Bhabha Atomic Research Centre in Trombay for its first nuclear test in Pokhran in 1974. Canada had supplied the nuclear reactor CIRUS to India in mid-1950s under the Atom for Peace Programme for civilian use of nuclear energy. The “Smiling Buddha”, as the first nuclear test on May 18, 1974, was codenamed, had triggered international uproar and Canada had immediately cut off supply of nuclear materials and technology to India. Modi on Saturday also referred to France-India nuclear agreement. “France is one of our most important strategic partners, which has stood with us at difficult moments. We remember the understanding and support extended by France in 1998 after the Pokhran Tests,” he posted on Facebook. Shi’ite fighters from Saraya al-Salam, who are loyal to radical cleric Muqtada al-Sadr, gather in the holy city of Najaf before heading to the northern Iraqi city of Tikrit to continue the offensive against Islamic State militants March 20, 2015. US Central Command (CENTCOM) has released twelve videos of US airstrikes against various ISIS targets around the Iraqi city of Tikrit. CENTCOM conducted a total of 17 strikes against ISIS targets over the night of March 25 using a combination of fighter, bomber, and remotely piloted aircraft. “In Tikrit, 17 airstrikes struck an ISIL building, two ISIL bridges, three ISIL checkpoints, two ISIL staging areas, two ISIL berms, an ISIL roadblock and an ISIL controlled command and control facility,” CENTCOM stated in a press release. The strikes were conducted after the Iraqi Ministry of Defense asked for US assistance in dislodging ISIS from the area. The strikes have been greeted with skepticism as Iranian-led Shiite militias have taken the lead in the Tikrit campaign. 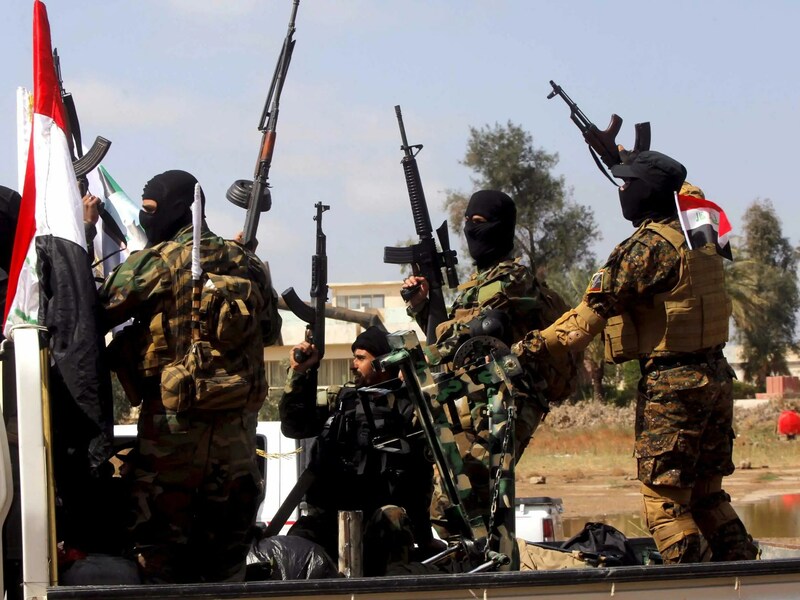 The militias have been implicated in human rights violations targeting Sunnis. Some fear that the US-led coalition’s mission against ISIS could be complicated if it’s viewed by Sunni Iraqis as providing air cover for sectarian abuses. As of March 12, the US has spent a total of $1.83 billion in the war against ISIS. This amounts to approximately $8.5 million a day. Hanging over the nuclear negotiations is a Middle East in disarray, where an extraordinary dymanic is unfolding. The U.S. and Iran are working both alongside and against each other in several conflicts. The U.S. is on the opposite side of Iran in Yemen, on the same side in Iraq and against the Iranian-backed Assad regime in Syria. “It’s really about what would make countries in the region safer,” State Department spokeswoman Marie Harf said. Harf said preventing Iran from building a bomb will contain at least part of the threat they pose. But many U.S. allies in the region distrust Iran and worry their interests are being sacrificed as the administration pushes for a potentially historic deal. Saudi Arabia, in particular, feels immediately threatened by its longtime foe. 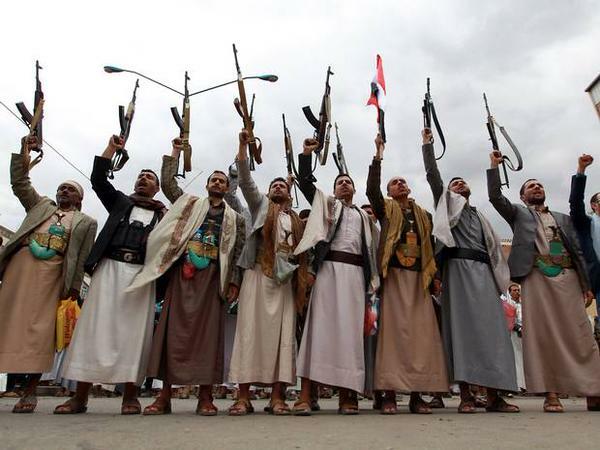 Iranian-backed militias in neighboring Yemen, Iraq and Syria are only growing in strength. Democratic Sen. Robert Menendez thinks allies should be concerned — a deal with Iran would only limit, not scrap, its nuclear capability and could embolden it. “What we will have done is bought time but not stopped Iran’s march towards nuclear weapons, and a future president and the world will face a potentially nuclear-armed Iran, and that is not in the national interests or security of the United States or our allies,” Menendez said. There’s also the possibility that the talks in Switzerland could fail altogether. U.S. negotiators said if that happens President Obama will have to make a tough decision about whether he’s willing to confront Iran and force it to stop its nuclear program.